effectiveness when removing even the toughest stains. 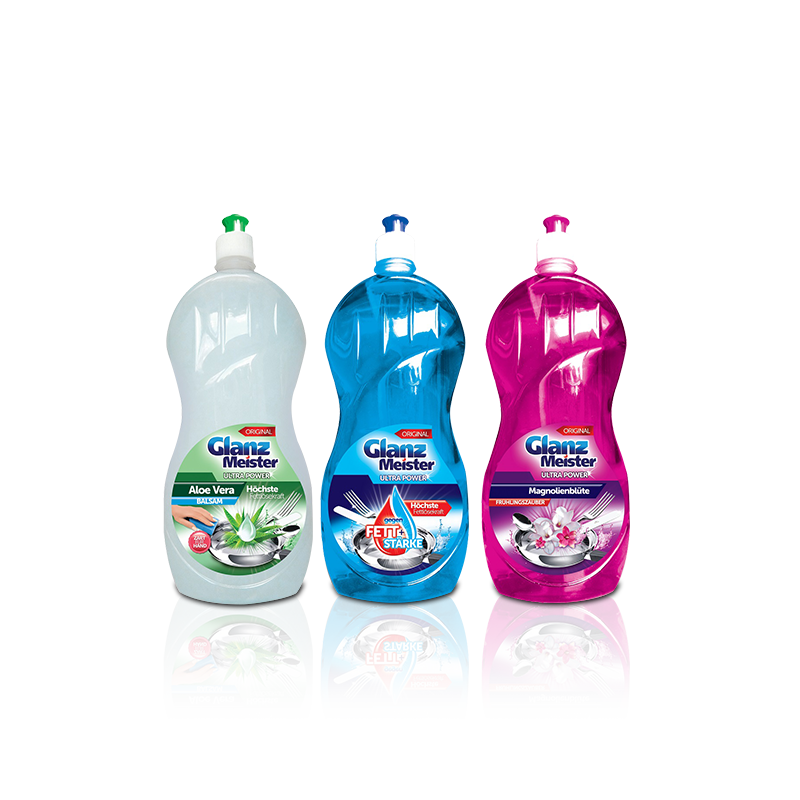 GlanzMeister – an innovative line of washing and cleaning products. 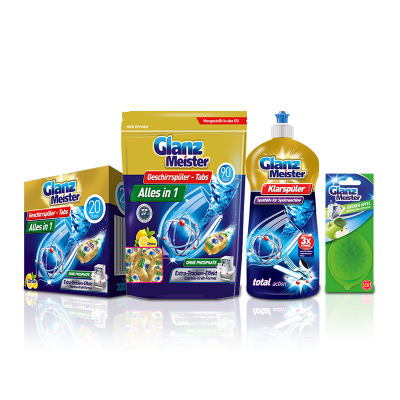 Thanks to the fact that GlanzMeister brand focuses on the cleaning agents for dishes, it has become a real expert – therefore, the GlanzMeister products are the top quality. All products have been designed to meet the customer’s expectations. They also need to pass the required tests. 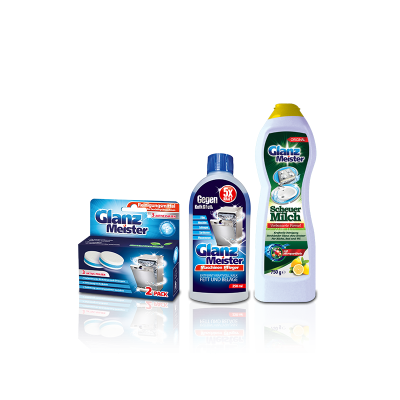 Currently, in the GlanzMeister range, the following articles are offered: dishwashing tablets and gel, rinse aid, compressed dishwasher salt, dishwasher cleaners (liquid and tablet), dishwashing liquid and also cleaning milk. In the nearest future, more products will be available in the offer. 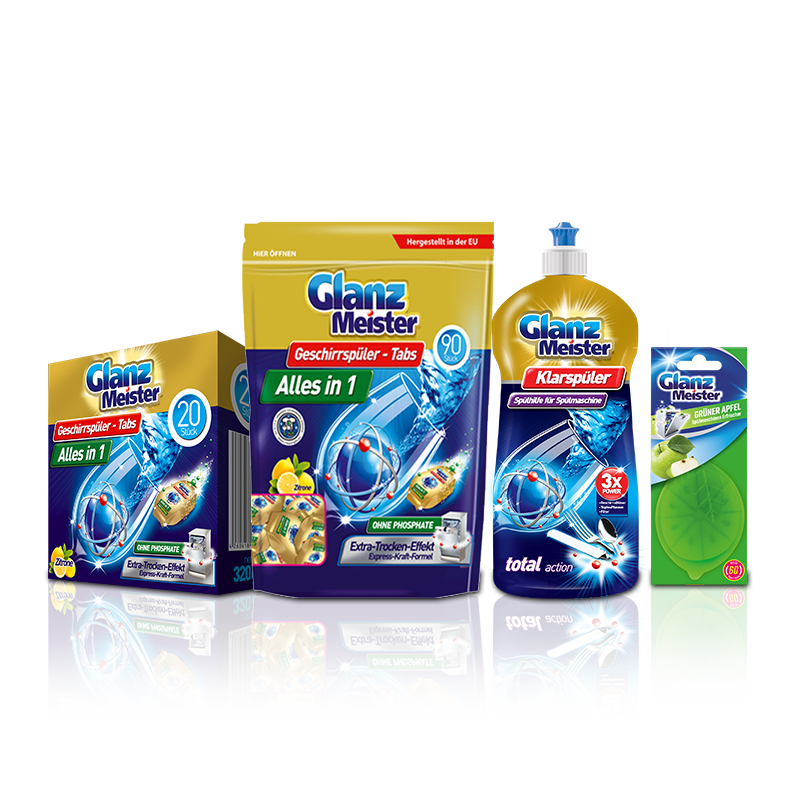 GlanzMeister is the excellent choice for anyone, who requires effectiveness in removing the toughest stains. What makes GlanzMeister products unique? 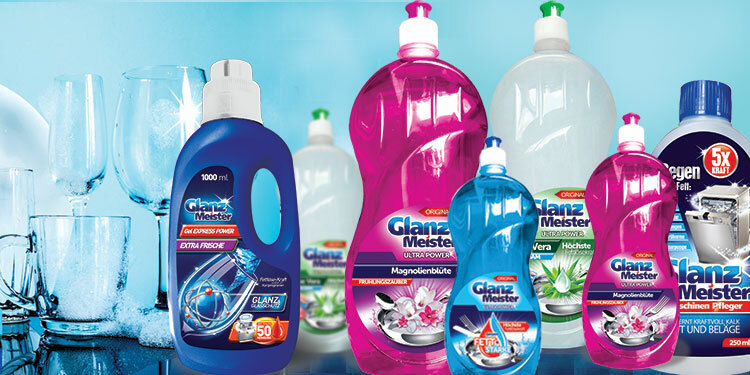 GlanzMeister offers the highest quality products, designed to clean dishes. 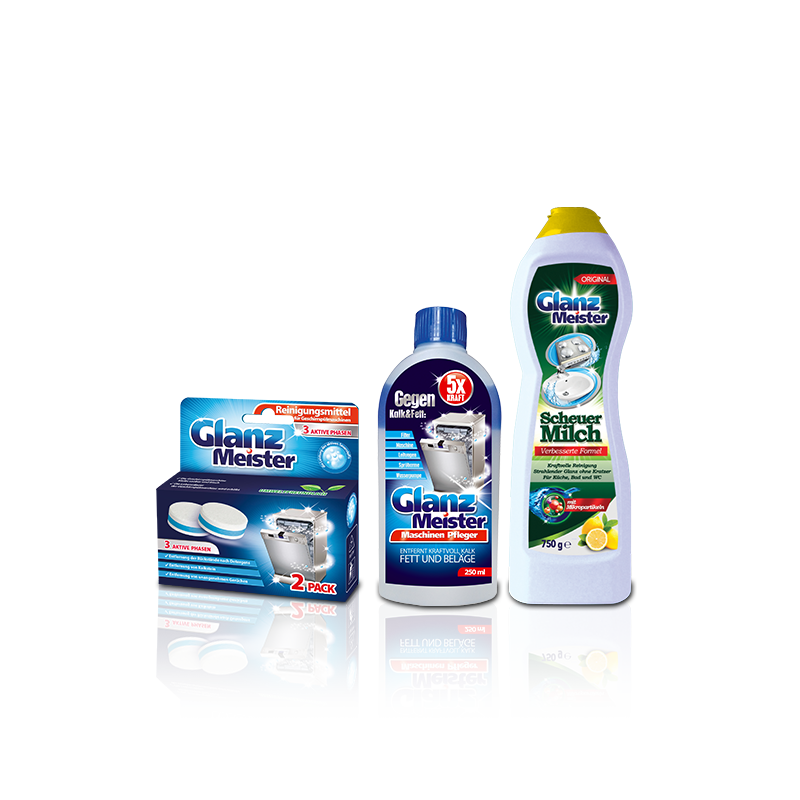 If you expect powerful cleaner, able to remove the most stubborn stains, these products are highly recommended for you. Effectiveness proven by the multiple, independent tests. Price competing with the most famous brands. Continuous improvement and evolution of the products, assures that they meet the market’s demand. 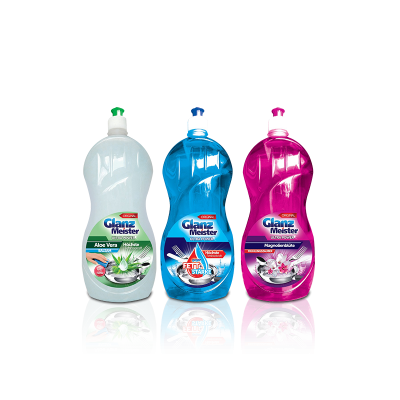 Includes high quality cleaning agents for dishes and other cleaning products.